Designing website with SEO friendly website structure is one of the best organic optimization method to date. By having optimized page structures and link structures will enable search engine spiders to crawl and index important pages efficiently. Google robots are objective site evaporators. Instead of trying to manipulate the bots, try to construct an objectively good site. Make it readable, browser-friendly and replete with relevant content. If you succeed in that, you will probably have made it search engine optimized. There are exceptions, but they only prove the rule. An Organic SEO company educates its clients on how to create and display reader-friendly content. You’d be surprised how few writers factor readability into their product. People think narrowly and bombastically. They want a prominent header, or three diagonal menus, or music and video that start the moment you visit the landing page—which are all legitimate, as long as form follows function. 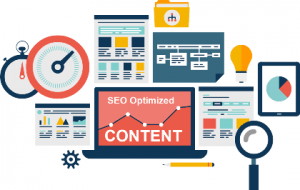 We offer our Website Optimization service for those business that have existing sites and have already decided the key words or phrases they need (or in cases in which they are obvious). Our Website Optimization package offers the standard SEO optimization services for your chosen key words or phrases. Depending on your niche and the amount of key phrases you need to target, we study your existing site and recommend which content to add, on which kind of pages, and how to interlink and back link to it so that it increase in rank for your chosen key words or phrases.